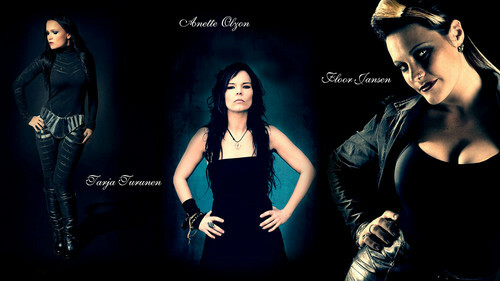 Nightwish Lead Vocalists - Tarja Turunen, Anette Olzon, Floor Jansen. . HD Wallpaper and background images in the Symphonic Metal club tagged: photo nightwish lead vocalists tarja turunen anette olzon floor jansen symphonic metal.